On October 31, 2018, the Chinese government released a statement declaring the reversal of a 25-year ban on the use of tiger bones and rhino horns, making it legal to use parts “obtained from the animals in captivity for scientific, medical and cultural purposes”. Black rhino, grazing. Photo by Lucas Alexander, Wikipedia Commons. The Chinese State Council said that powdered forms of rhino horn and bones from dead tigers could be used in “qualified hospitals by qualified doctors”. The animal products must be obtained from authorized farms, and animal parts classified as “antiques” can be used in “cultural exchanges if approved by the cultural authorities”. 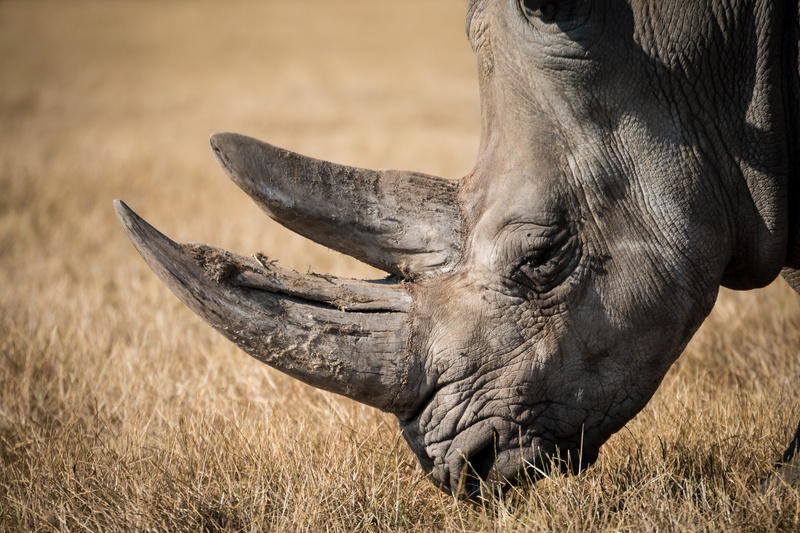 The announcement worries conservationists who predict an upsurge in demand for rhino horns in an already active black market plagued by poaching. Just last month in Zimbabwe, poachers gunned down four black rhinos within a two-month period. The Zimbabwe Parks and Wildlife Management Authority suspects the same group of poachers in all three incidents. However, no arrests have been made. Poaching has strained the capacity of Zimbabwe’s under-resourced national parks, rendering them vulnerable to attackers. China’s announcement was a major blow to conservationists in Zimbabwe who already face a severe lack of financial resources due to the nation’s deepening economic crisis. Yet, conservationists say they still lack the financial resources required to increase security and boost capacity to monitor and track poachers in Zimbabwe’s national parks. They fear that China’s partial policy reversal on the 25-year ban will only make matters worse. Zimbabwe hosts the world’s fourth largest black rhino population. Organized groups of poachers are known to mutilate rhinos’ faces when extracting their horns, leaving them to die a slow and painful death. Some conservationists are calling this a war against black rhinos, not just in Zimbabwe, but in all four countries where black rhinos roam “critically endangered” as classified by the World Wildlife Fund. Without urgent intervention, they could vanish into extinction.